Months ago I received a surprise package from Richard McGary with a challenge and lots of chile peppers. One of the contents of the package was a jar with Richard’s homemade Ancho Chile Rub. 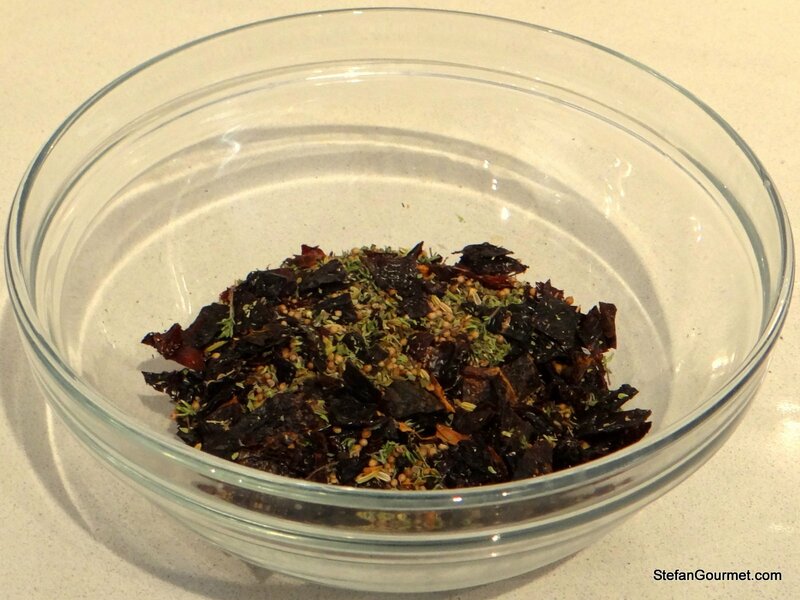 This is a spice mix with ancho chile as the main ingredient that I liked a lot. I tried it with salmon and tuna. The ancho chile rub is not just spicy — it has a deep earthy flavor that goes well with both meat and fish. I liked it so much in fact, that I finished the jar that Richard sent pretty quickly. And so I had to make my own. 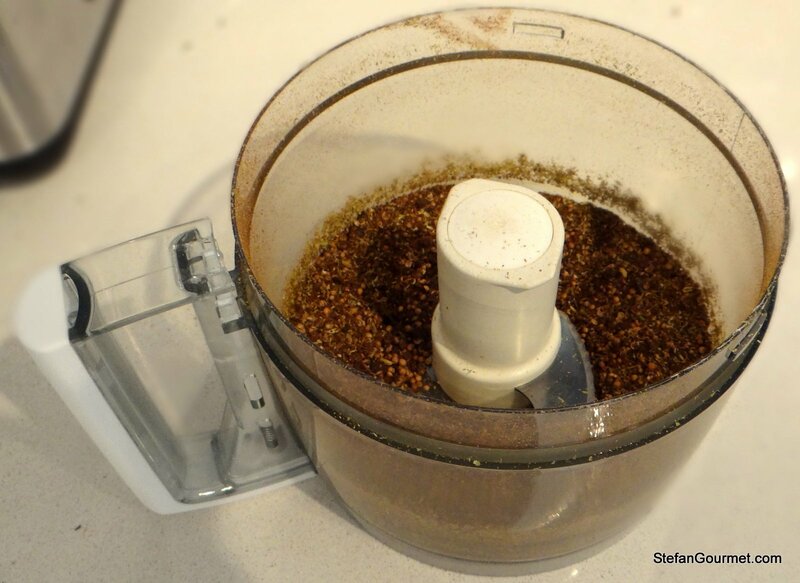 To make ancho chile rub, you will need dried ancho chiles and a spice grinder (as well as a bunch of other stuff that I already had in my spice cabinet). 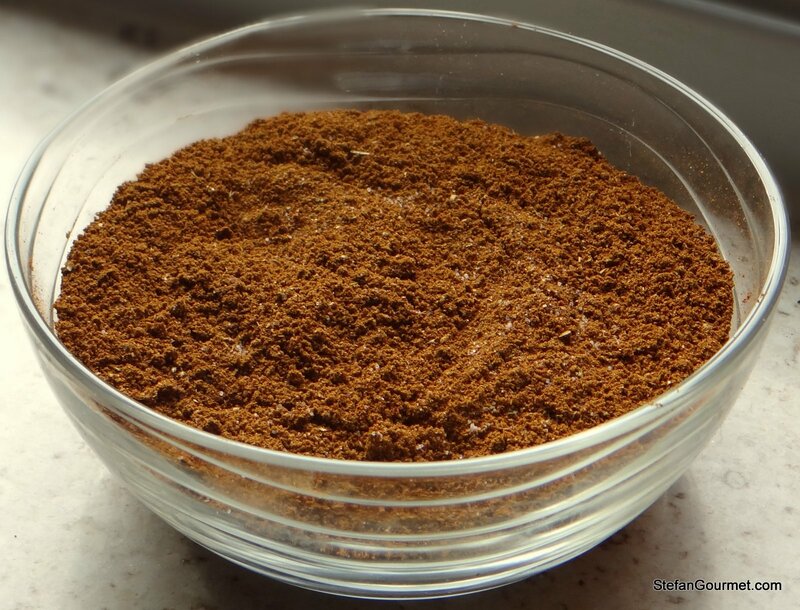 I liked it so much that I went to the trouble of buying a spice grinder and searching online for a place that would alllow me to buy dried ancho chiles in the Netherlands, not a common ingredient around here. I managed to do both and so I was ready to go. I only made three changes to Richard’s original recipe. First of all, I used less salt as you can always add more salt later but can’t take it out once it’s in. 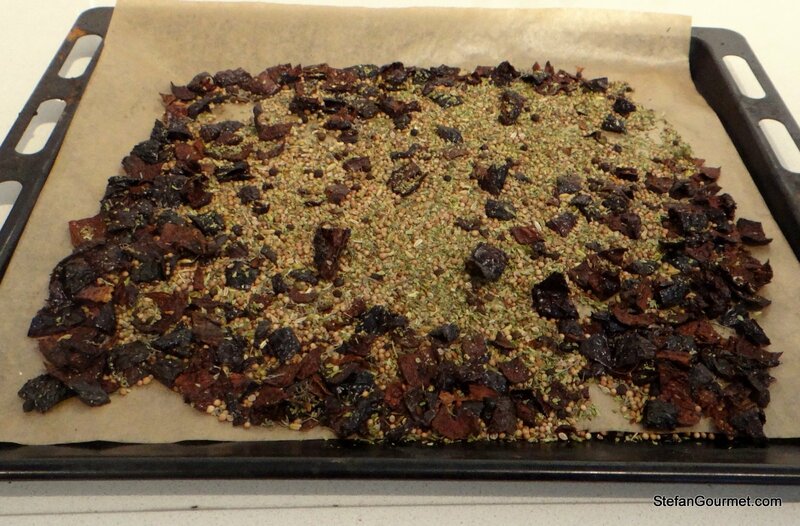 Second, I used mustard seeds rather than mustard powder as I was going to grind everything anyway. 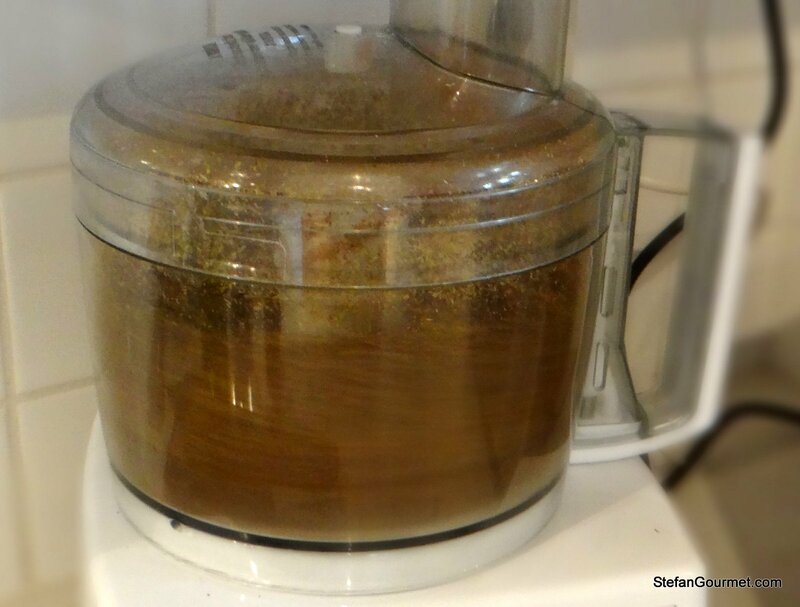 Third, my brand new German hand-cranked spice grinder didn’t succeed in grinding the mixture that I ended up with by following Richard’s recipe. Even though I toasted the ancho chiles, they were still too tough rather than brittle to grind them. And so I roasted the ancho chiles in a low oven and ground everything coarsely in my food processor before doing a fine grind in the spice grinder. That worked like a charm. I’ve already tried my own ancho chile rub on a simple steak and it tasted just like Richard’s (except for the salt). Stem and seed the ancho chiles. 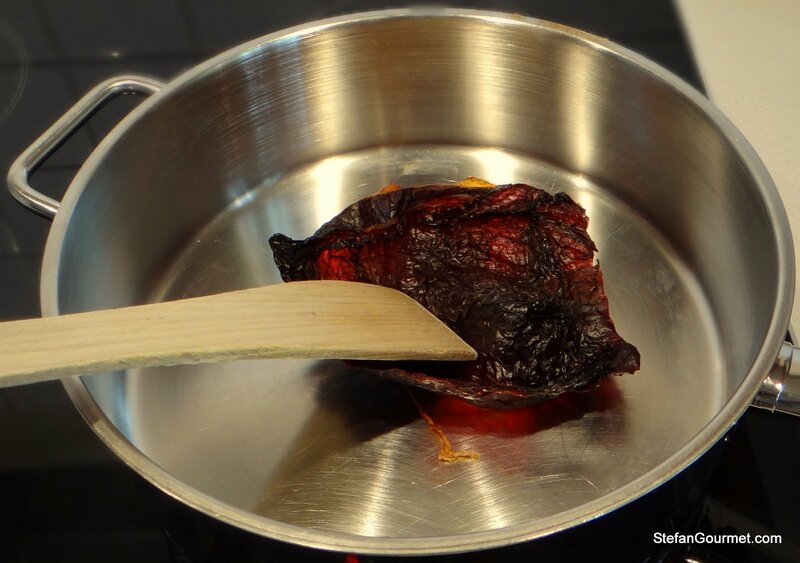 Toast the ancho chiles in a preheated frying pan, being careful not to burn them. Roughly chop the ancho chiles. 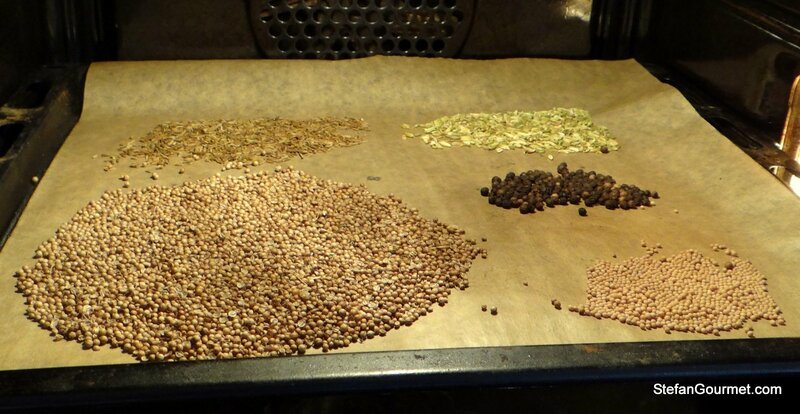 Toast the coriander seeds, cumin seeds, fennel seeds, black peppercorns, and mustard seeds in the oven for 5 minutes at 150ºC/300ºF. Combine the toasted spices with the chopped ancho chiles, oregano and thyme. This is where Richard tells you to grind it in your spice mill, but my spice mill couldn’t handle the chiles this way. And so I roasted everything for 10 minutes at 125ºC/250ºF. Then I ground the mixture in the food processor. It was still pretty coarse, but now suitable for my spice grinder. 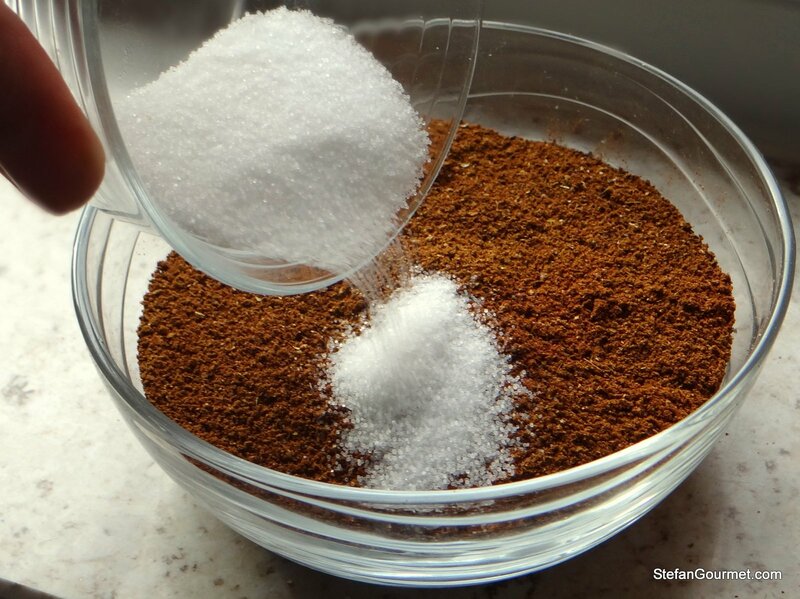 Grind the mixture into a finer powder (but still a bit coarse) in a spice mill. …and mix. Store in an airtight container in a cool and dark place. According to Richard it has a shelf life of 2-3 months. I don’t think it will last that long. I found it easiest to apply the mixture by mixing it with olive oil and then rubbing it on the meat or fish before grilling it. 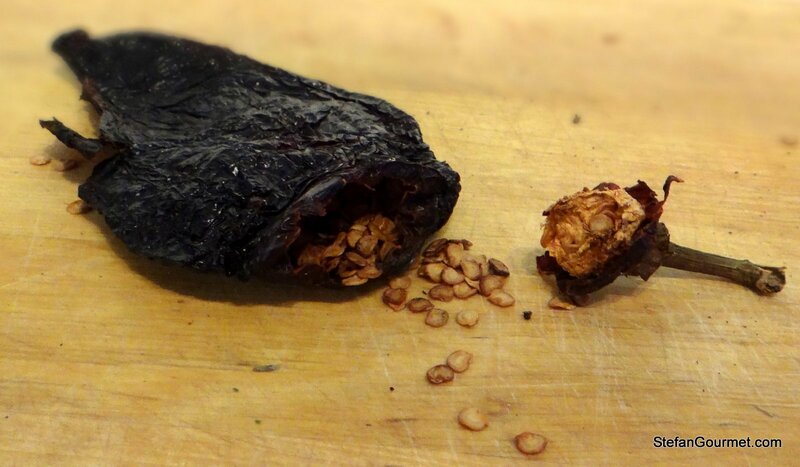 Have you tried to gently roast (basically: dry) the dried chiles like I did? No …. I usually use very small, very dry chilies. I will try that with the larger ones, especially the very leathery smoked sort. That will make for very nice chile powder — I love chipotles! Great post! 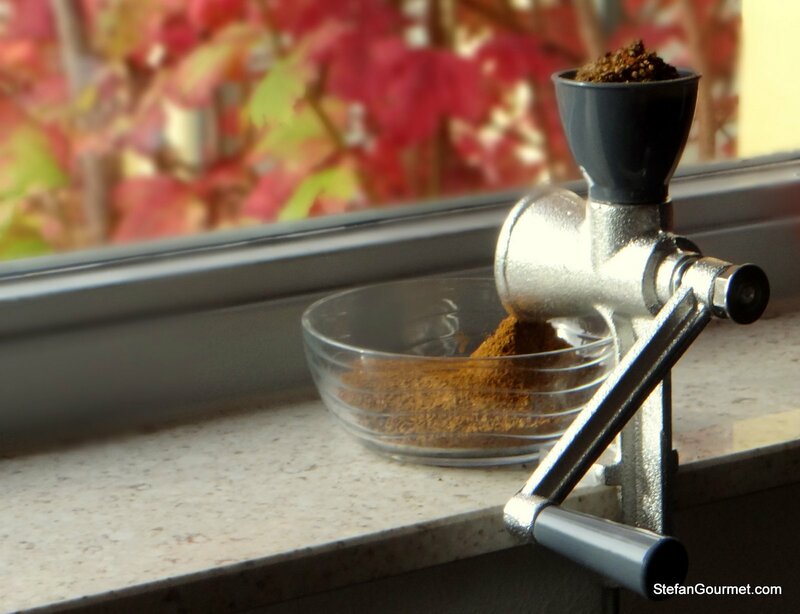 Where did you find this spice grinder online? Thanks. I actually bought the spice grinder in a store in Amsterdam (Duikelman — no webshop). The brand is Westmark and it is officially a poppy seed mill (Mohn- und Getreidemühle). Hope this helps. Thanks for the shoutout, Stefan. We’re glad you like the rub. It’s actually one of our favorite (if not favorite) rubs. Next time you make it, try a combination of different chiles. It will add an extra depth of flavor and character to the rub, especially if you use a small amount of smoked chiles like chipotle. You have me thinking Stefan. I have a few of these McGary beauties left myself.